As a company that has been in business since 1978, Action Duct Cleaning has many clients who religiously get residential air duct cleaning or commercial duct cleaning. 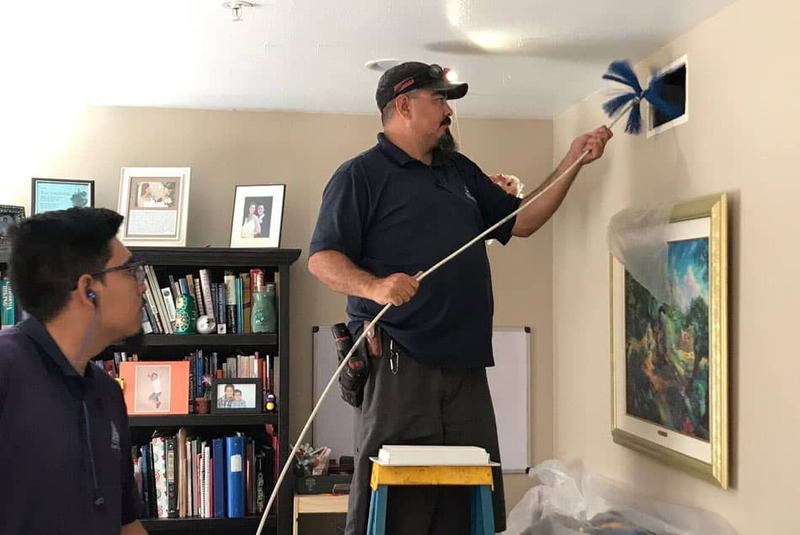 They have had experiences of allergies worsening, particles blowing out, dust accumulating on furniture, signs of increased occupant respiratory illnesses, and other problems that have educated them why air duct cleaning is important. To understand how a dirty heating and air conditioning system impacts your indoor spaces, it’s important to know how these systems get dirty and why residential air duct cleaning and commercial duct cleaning services are used by so many consumers to keep their systems clean. A common childhood memory for all of us is noticing a sunbeam coming through a window and seeing the immense number of particles floating in it. A cubic inch of city air contains about 250,000 particles. This can be less or greater indoors. As an HVAC (heating, ventilation, and air conditioning) system runs, these particles travel into the return ducts that draw in the air, through the fan and other parts of the unit, down the air ducts, and out the registers. Over time, these particles begin to coat everything inside the system. Eventually, this accumulation causes problems. Here are 5 signs that you may need residential air duct cleaning or commercial duct cleaning. HVAC systems work by cooling or heating the air by means of a “coil.” Though a coil sounds like a corkscrew-shaped contraption, in fact, it looks more like a car radiator. 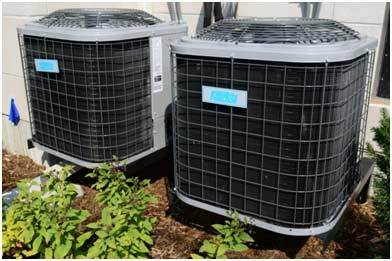 Cooling coils get cold by means of a refrigerant inside and heating coils get hot, typically by means of electricity or gas. As the system gets dirty, these coils are coated with dust and debris which act as an insulator, making it harder for the coil to heat or cool. Thus, the system has to run longer and longer to get the same cooling or heating result. To operate efficiently, coils are made to touch as much air as possible that goes through them and down the air ducts. This means the air must travel through very narrow spaces – sometimes 1/16” – so that virtually all the air touches the coil as it goes through. This permits rapid cooling or heating of the air. It also means that coils often clog with dirt and dust. Again, this means the system much run much longer to get the same volume of air out. Dirty ducts also impact energy performance. Enough debris can restrict the diameter of the duct. Dirt can clog or narrow the air passages in a register causing a drag on air flow. Just the presence of dirt in the duct actually slows airflow because air travels faster over a clean metal air duct than one with a rough surface covered in particulate. We hear many complaints from consumers about dirt blowing out. Those seeking commercial duct cleaning often have serious issues of particles – obviously coming from the air ducts – blowing onto desks or occupants or sensitive equipment. Sometimes, in addition to dirty air ducts causing this, they have interior fiberglass insulation breaking down inside the ductwork that must be either coated and repaired or removed. Otherwise the particles will continue to come out. We’ve heard from lots of clients who had their systems cleaned by other companies, only to find out the particles continue to come out because the insulation was never addressed. An experienced air duct cleaning company won’t leave you with this problem. Dirt blowing out in a home can be more subtle. Typically, we hear of the furniture being dustier than usual or the carpet or walls show signs of dust accumulation. Residential air duct cleaning is a common remedy for this. Ducts that are separated at the joints can also cause this because they draw in dirty air from the attic or basement through the open joints. A dirty return register (where air is sucked into the HVAC system) is a common sign of what you might see in the duct itself, but oddly, dirt on the wall outside a supply register – where the air comes out – is not always a sign of a dirty duct. This swirl of dust on a wall or ceiling is commonly caused by the repeated striking of the particulate-laden air coming out, but not necessarily representative of how dirty the duct interiors are. If you notice an increase in allergic symptoms when the HVAC kicks on or at times of the year when the system is in extended use, that could be a sign that air duct cleaning could help. It is not uncommon, particularly in humid climates for mold growth to proliferate in the air handler and, sometimes, even the ductwork. Mold allergies are quite common and even for non-allergic people, molds sometimes release chemicals known as mycotoxins that go airborne and make people feel poorly or even quite ill.
Allergic reactions often only require exposure to allergen molecules, not large particles. Ask anyone who’s had bad reaction to perfume. Since air is constantly blowing over the interior surfaces of a dirty HVAC system, it is NORMAL for it to pick up and transport molecules and minute particulate it’s way through and bring them out into the occupied space. If, for example, cat dander is in the ductwork from a cat that lived in the house two years ago and someone moves in later and has a highly sensitive cat allergy, it is conceivable they could react to allergen molecules coming from the ductwork. A study published by the National Institute for Occupational Safety and Health (NIOSH) found that when eighty office buildings were studied, dirty HVAC systems were found to be linked to higher rates of respiratory illness. This is not a statement that residential air duct cleaning or commercial air duct cleaning will prevent illness, but it is a recognition of the reality that humans are biological organisms that are not necessarily designed to live in man-made environments. Dirty HVAC systems might “make people sick” in a variety of ways. The most obvious is if bacteria, mold or other organism are growing in the ductwork or air handler and being released into the occupied space, thus increasing exposure. Mold also, as we have noted, can release vapors (volatile organic compounds, or VOCs) and other chemicals that cause symptoms mimicking respiratory ailments. Another, perhaps more likely, avenue for illness is that a dirty HVAC system could, through poor comfort performance and the release of molecular irritants, increase stress loads on the body, making susceptibility to colds and flus more likely. 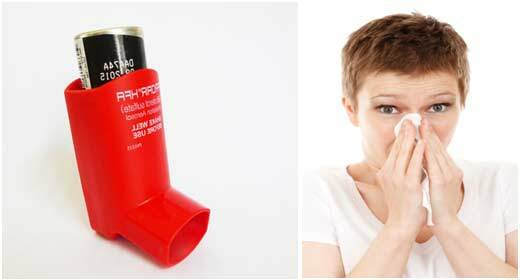 A study at Yale found that when the respiratory system is faced with dealing with more than one irritant or invader, such as viruses, it makes trade-offs. It may be able to steel itself against the effects of a mildly corrosive chemical in the air, for example, but in the process it loses some of its immune function. This may explain why dirty HVAC systems are often linked to “Sick Building Syndrome” – the condition whereby an occupied structure is known or suspected to be associated with a higher risk for illness. On occasion we hear from our clients that they now can FEEL the HVAC system working after we have cleaned it. Some systems become so dirty that airflow is very poor and they simply don’t do their jobs despite running large energy bills. We hear many stories from our service techs of the system now whistling at the registers because the airflow is so much stronger or the client being surprised after we clean the system because he or she never knew the HVAC could put out so much air. Perhaps our favorite is the cat lover whose cats had shed so much hair, they literally created a blanket of hair over the return register and the coil preventing almost any flow of air. In these cases, residential air duct cleaning or commercial duct cleaning can make a huge difference. As a side perk, a truly professional duct cleaning company will notice, during the cleaning process, if you have any broken or separated ductwork. This condition is common and can cause major air loss or even no air at all to some rooms, not to mention a tremendous energy waste.